Lebanese Prime Minister-designate Saad Hariri said justice will prevail on Tuesday ahead of an emotional appearance at the international Special Tribunal for Lebanon (STL) into the killing of his father and 21 others in 2005. "We are holding on to the truth, to know who is behind the assassination of Rafiq Hariri and all the martyrs who fell defending Lebanon. With justice, the killer will be handed his punishment,” Hariri said in a statement released via social media. The accused persons on trial in absentia, Salim Jamil Ayyash, Mustafa Amine Badreddine, Hussein Hassan Oneissi, Hassan Habib Merhi and Assad Hassan Sabra, are all members of the Lebanese Shiite political and military movement Hezbollah. "In its final brief, the Prosecution states that Ayyash, Merhi, Oneissi, and Sabra are criminally responsible for their conduct of preparing, executing, and supporting the terrorist attack," the STL said in a statement on Twitter as the trial was live. 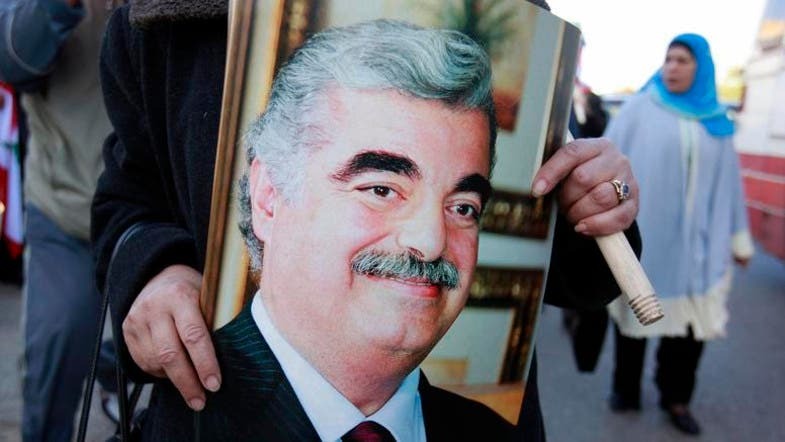 "In its final brief, the Prosecution states that the perpetrators, acting with premeditation, used explosive materials to intentionally murder Hariri and 21 others and are also responsible for the attempted intentional homicide of 226 persons. "The Prosecution states that the 14 February attack was executed as part of a sophisticated, multi-faceted mission that could only have been the product of a conspiracy," the STL added. Saad Hariri is accompanied by ministers Marwan Hamadeh and Ghattas Khoury, and former minister Basem al-Sabaa. The final statements of the prosecution and representatives of defense and victims will be heard, which is the final step before a verdict. According to Lebanese newspaper Al-Hayat, the hearings will last for 10-14 days. Judges will later be isolated to determine the verdict, which might not be announced until 2019. During this isolation period, the five judges will review thousands of documents including statements of 307 witnesses. Following that, there will be a public session in which the verdict will be announced.